An independent family business, with branches throughout Dorset. Providing funeral guidance, every step of the way. We're always ready to help. Day or night. An independent family business, with branches throughout Dorset. Providing funeral guidance, every step of the way. 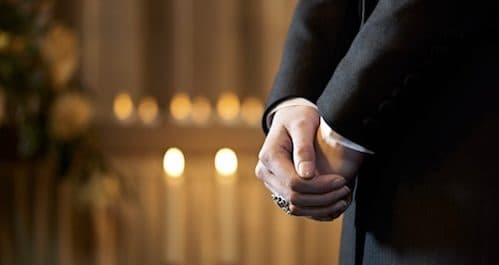 Learn about our funeral services, what to expect when you call us and how we can guide you through every step. Discover our range of funeral packages and costs, from a build your own funeral to the Douch Chapel Service. Get involved in Douch community events, from local bereavement groups in Dorset to the 50+ Information Day. Founded by Frederick Charles Douch in Wimborne in 1910. We are a family run business that has served the Dorset community for over 100 years. Many people wish to provide for their funeral expenses, setting up a funeral prepayment plan is a caring, sensible and cost-effective way to do so.